Viky interior LED downlight. 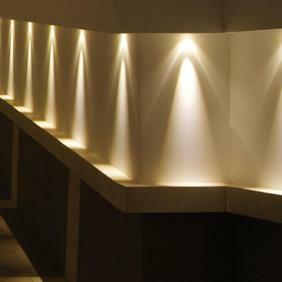 A small and discreet, recessed spotlight providing a warm light. 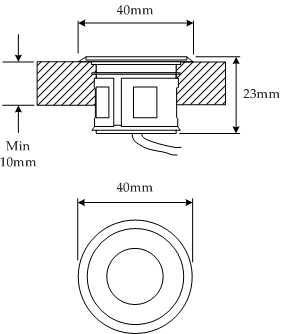 This Italian made fitting has a fixed optic in a recessed housing to ensure anti-glare. There is a 2w and a square version of this model. Made from brass or stainless steel. Available in a choice of colour finishes and a variety of beam angles and light output colours. 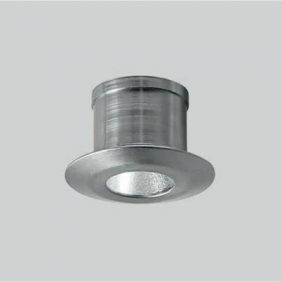 Suitable for various downlight applications. Supplied with retaining spring for false ceilings. LED drivers suitable for this product.